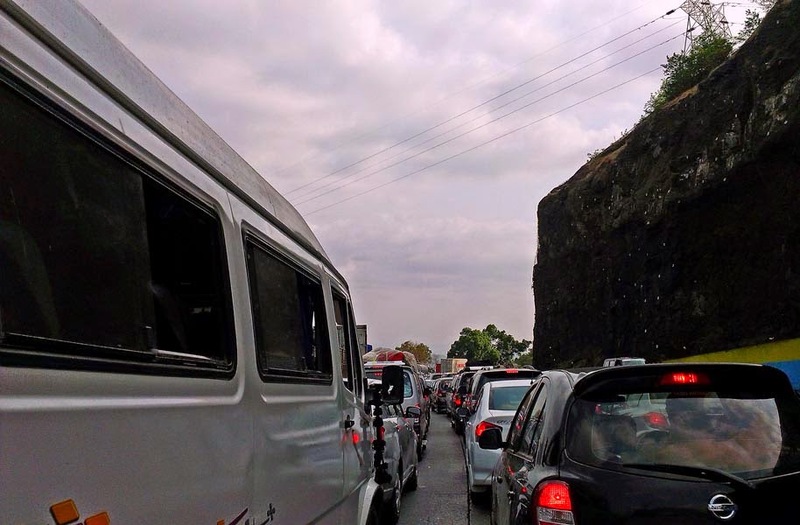 Traffic jams on the Mumbai Pune Expressway are very common. 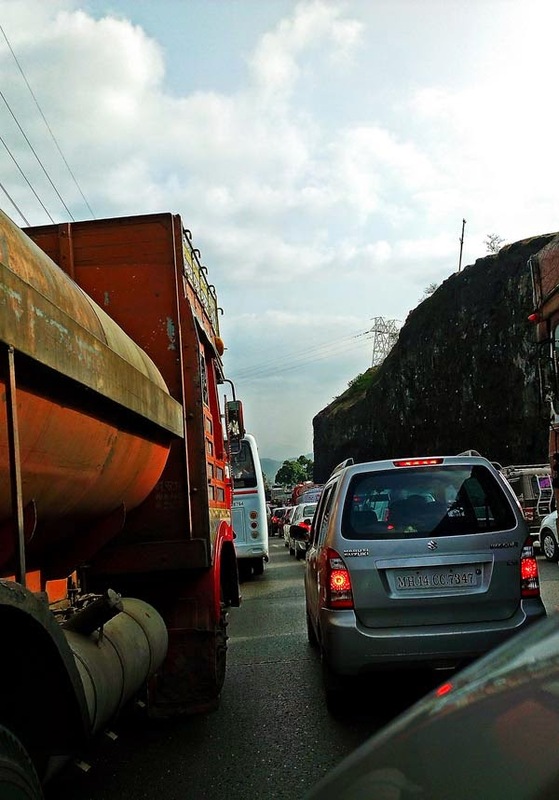 You just never when there will be an accident, particularly in the Ghat section where the roads narrow and large vehicles occupy the right lane. Recently there was a huge jam not because of an accident but an agitation by some Hindu radicals because of facebook posts. An excuse for the unemployed goons to create a nuisance and disturb the life of ordinary and law abiding citizens. 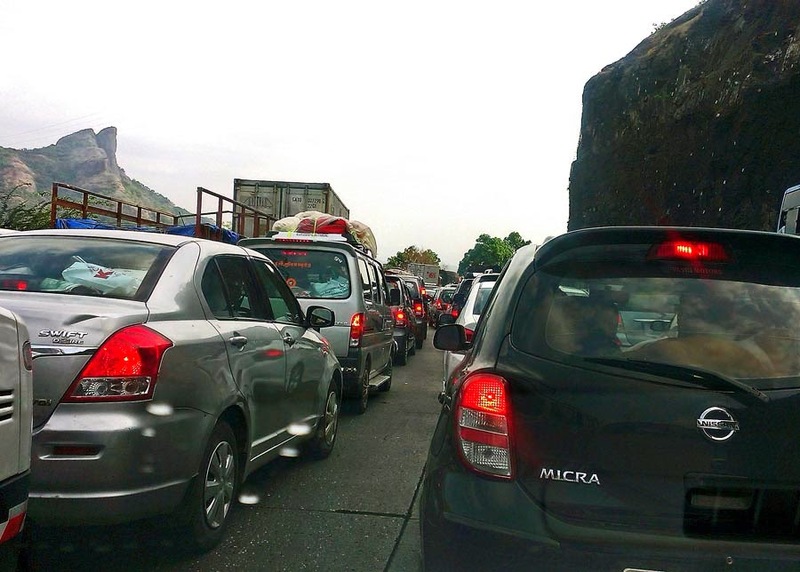 Photographs of vehicles jam packed on the Mumbai Pune Expressway in the Western Ghats, on the way from Pune to Mumbai.